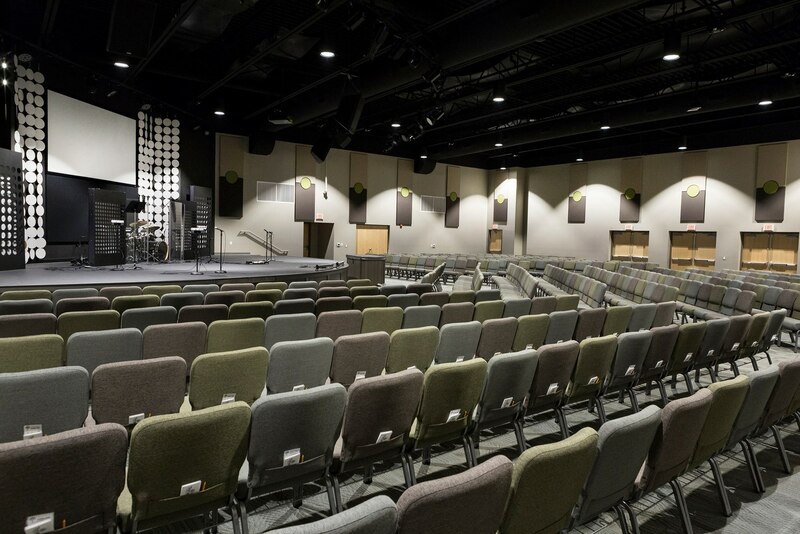 In 2001, Central Christian Church, a 50-year-old congregation based in Carmel, Indiana, bought 82 acres of land in neighboring Westfield to prepare for future growth. 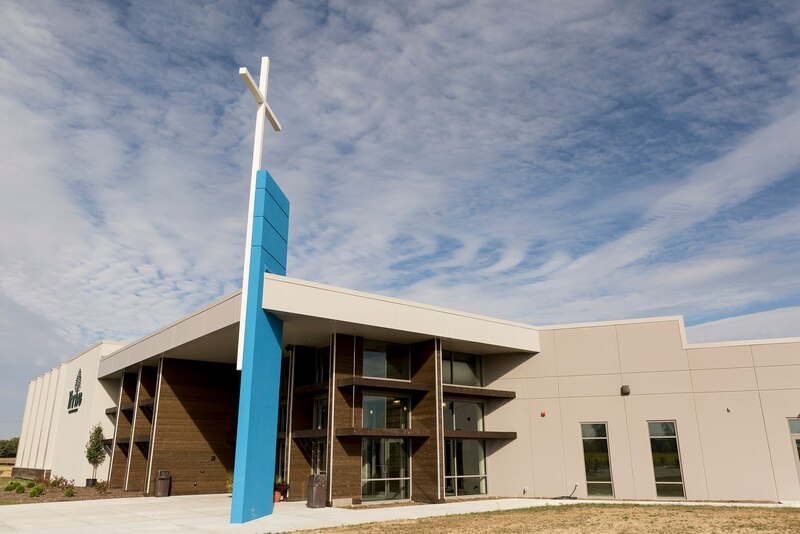 The church tried to build and relocate to this new property in 2004, but a split within the church thrwarted the project. 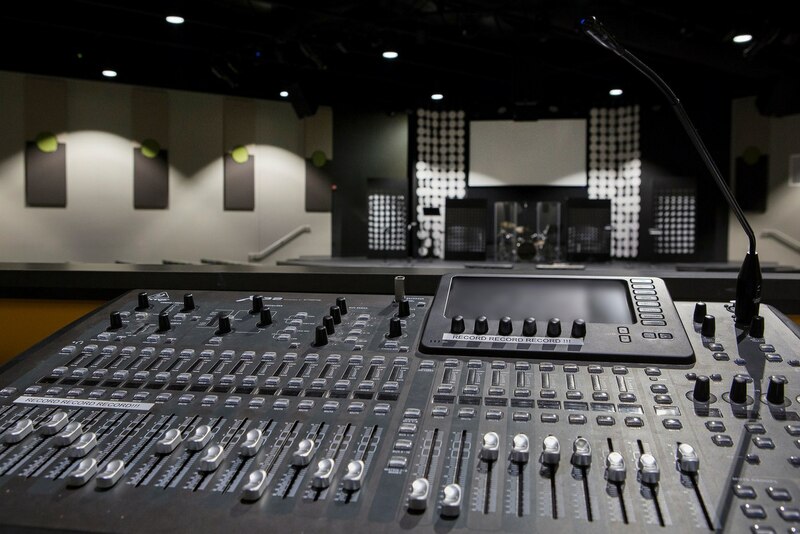 By 2015, the church had grown beyond its capacity to minister effectively in their original space. 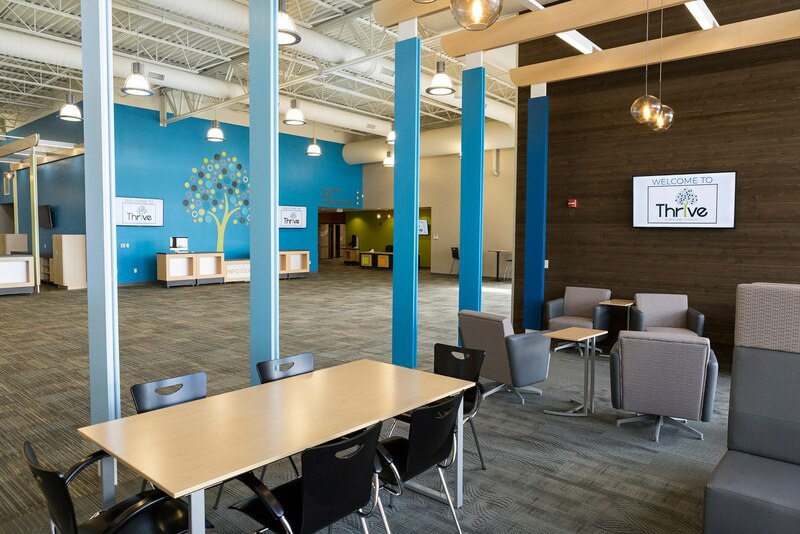 Under Pastor Graham Richards' leadership and Aspen Group's direction, Central Christian Church developed plans to build a new facility on 20 acres of their green site in Westfield. 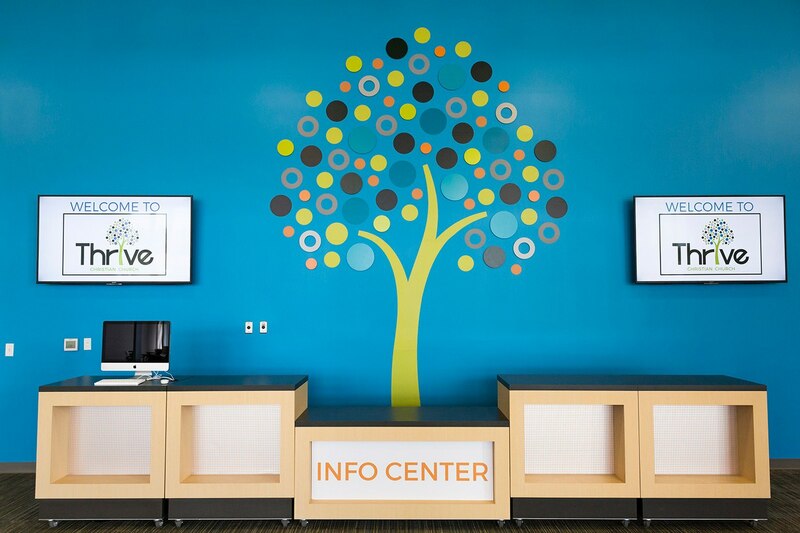 Forecasted growth, especially among young families, made it an ideal location for a new church. 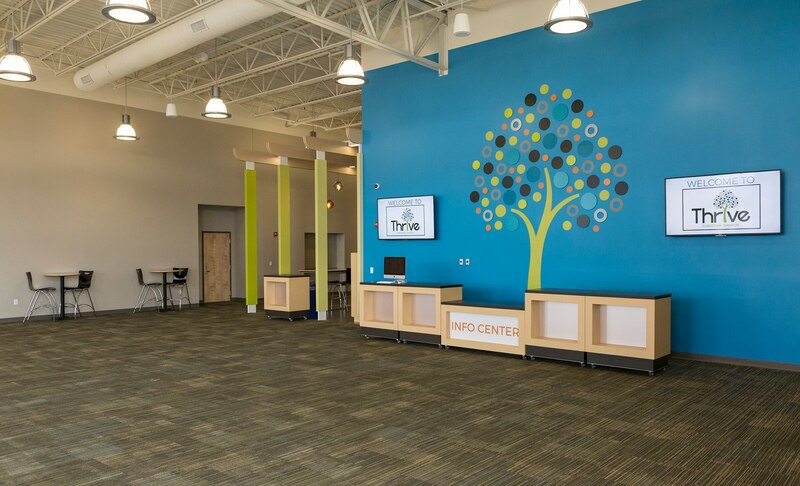 Between 2015 and their grand opening in 2017, the church sold its building in Carmel, sold a portion of the 82 acres, secured a temporary location to meet in while their new site was under construction, changed their name to Thrive Christian Church, and began a fundraising campaign for the new facility. 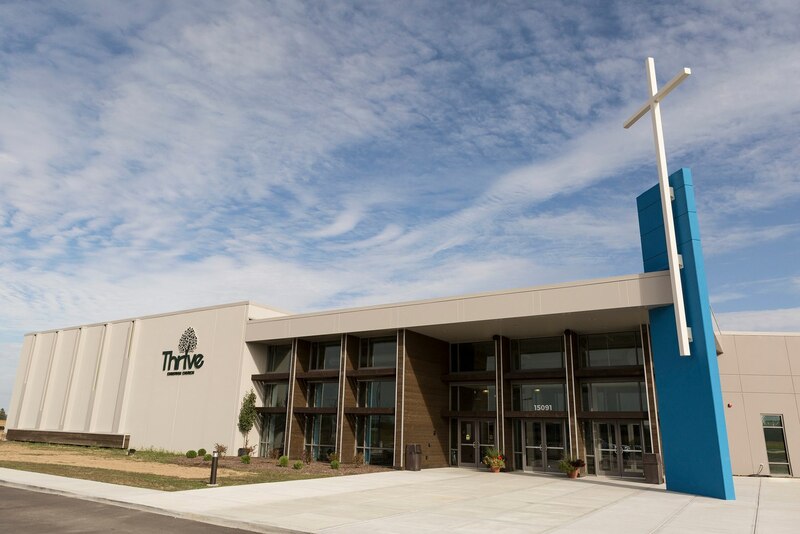 The new Thrive Christian Church is a beautiful 25,005 square foot space on 20 acres in Westfield, Indiana, a booming suburb of Indianapolis. 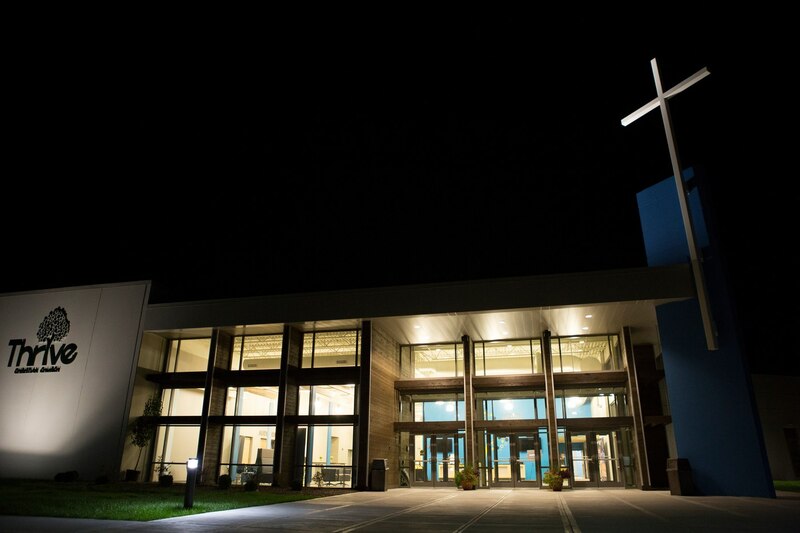 A bike path runs around the perimeter of the church, connecting it to the residential areas nearby. 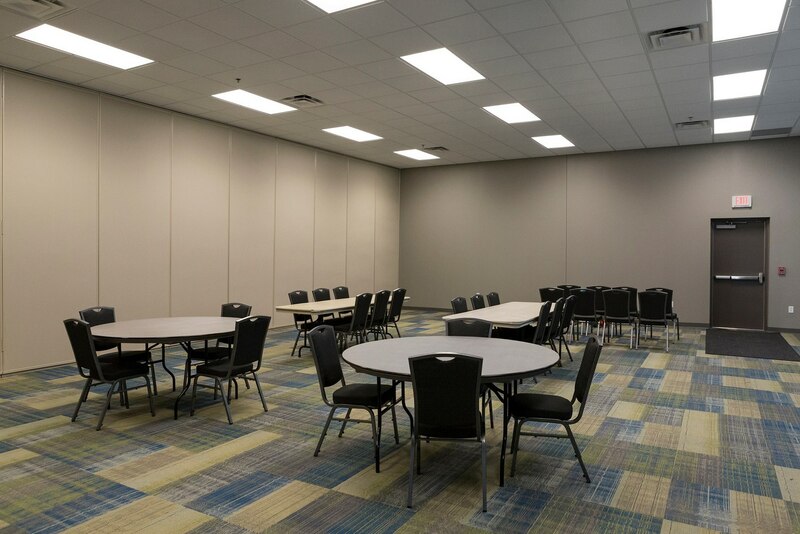 No longer are you met with low, dark hallways and ceilings. 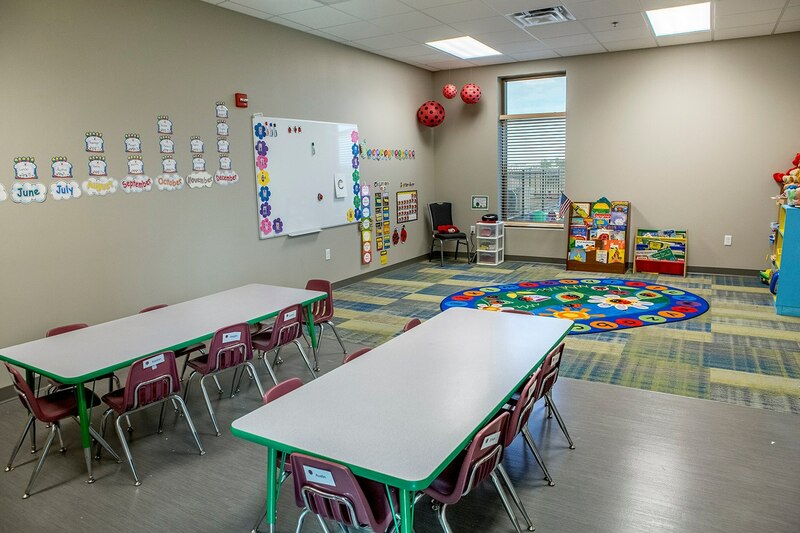 The church entrance is filled with large windows that let in bright, natural light. 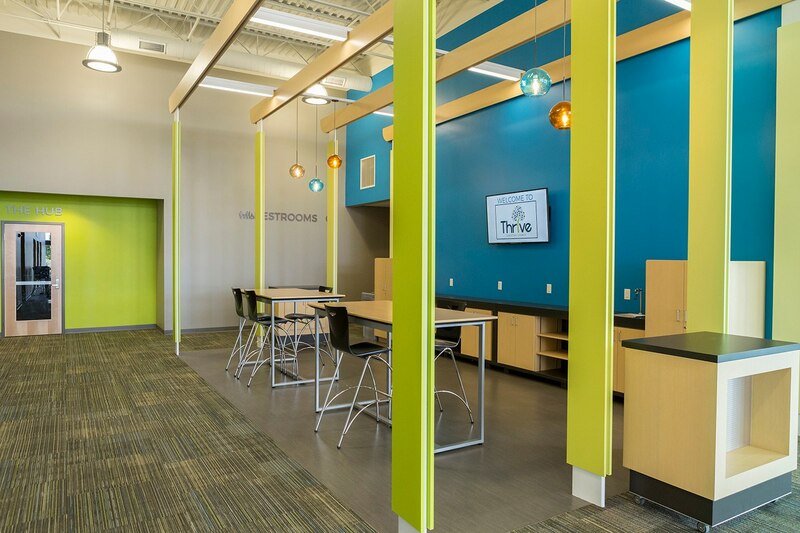 High ceilings draw your gaze upward; the space is open, friendly, and fun, yet simple. 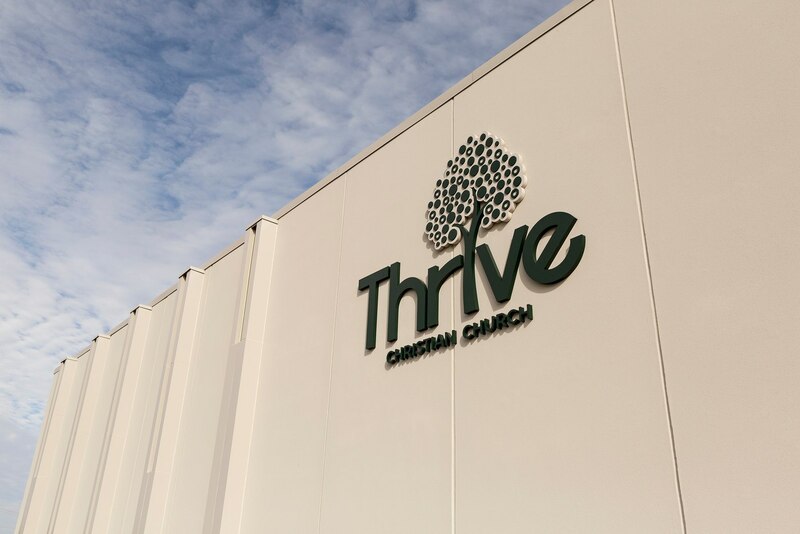 A large, prominent cross out front reminds the Thrive congregation what their mission is: to follow Jesus, connect people to each other, and serve the world. 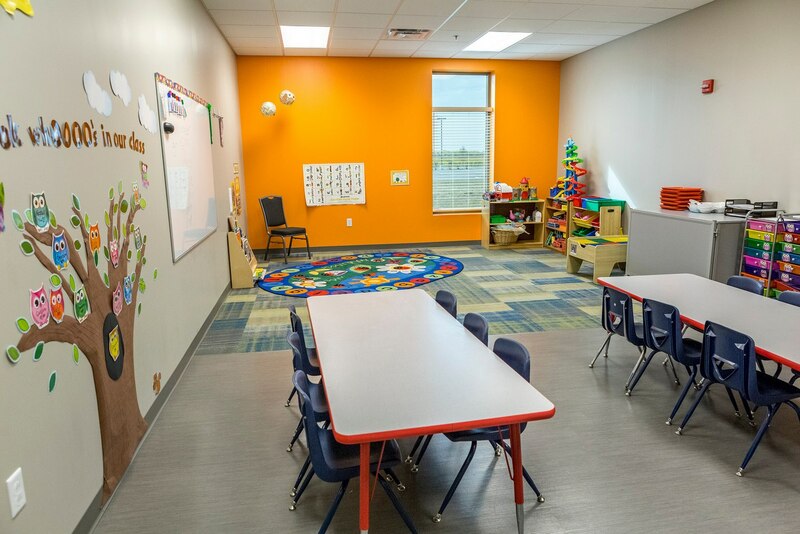 With an emphasis on children and youth spaces, their daycare and preschool programs will meet a real need within the community and create a natural way for young families to discover the church. 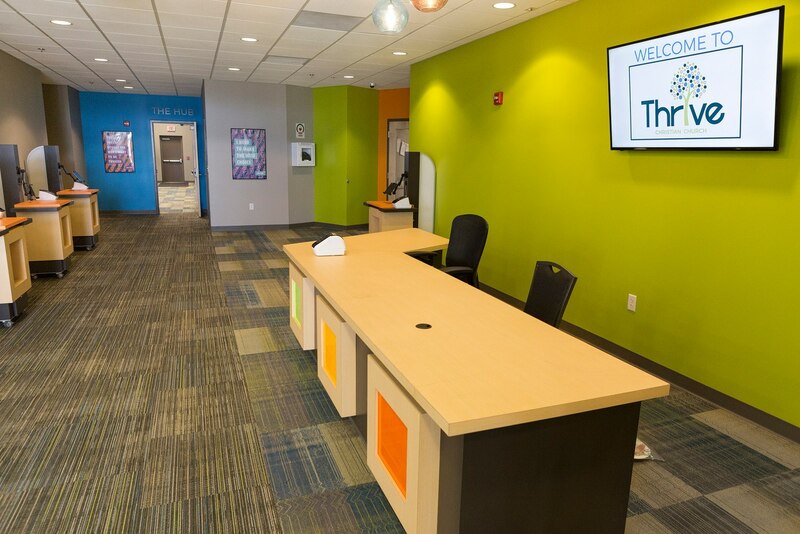 They're also excited to share their space for community events like meals, concerts, and meetings. 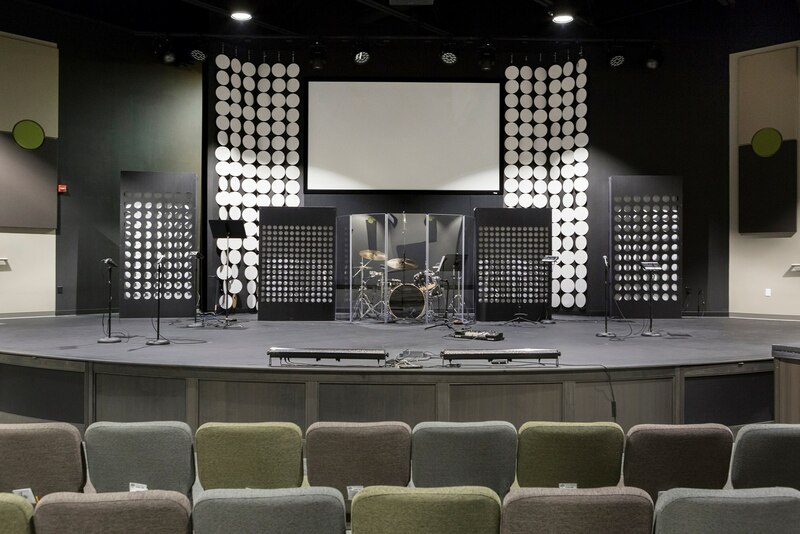 Since opening its doors in July 2017, the church has already seen immense growth, with attendance numbers rising back up over 500 for weekly worship.